A few folks got together to reminisce about their financial lives over the last 10 years. A group of bloggers decided to hold a group project that gave us a retrospective view of their finances and just like others out there who found it an eye-opener, enough to participate in the project and share their own personal stories, I found myself compelled to follow suit and give my own flashbacks down memory lane and see how our past compares to our current financial situation. Ten years ago, we were in the midst of the dot com era, and Silicon Valley was being hit hard. Too much traffic, inflation, influx of new inhabitants. Crowds packed every hip joint. Or every public gathering hole. I found it both exhilarating and annoying (I’m not big on crowds or traffic). It also felt like cash grew on trees as there were more jobs than people to fill them. The optimism ran rampant for the time being, while I spent a lot of time helping the managers I worked for grow their empires: I interviewed a steady stream of potential employees almost weekly. We had no kids or we were otherwise known as DINKs (aka dual income / no kids). My spouse’s first startup was then already 7 years old, with no clear exit strategy. It would make us or break us (to some degree). I was a software contractor (or consultant) in the midst of the dot com boom. Money was easy to come by thanks to the irrationally huge demand for technical people in the Silicon Valley. We worked crazy hours — sometimes 14 hour days. Our savings rate was through the roof — we easily banked 50% of our income. 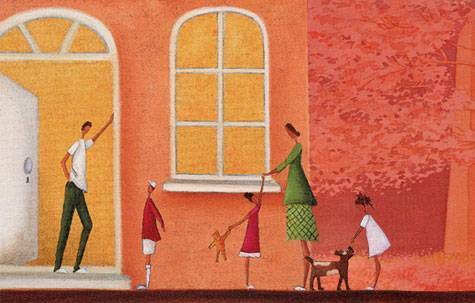 We were living in our first house in a quiet, peaceful suburb. 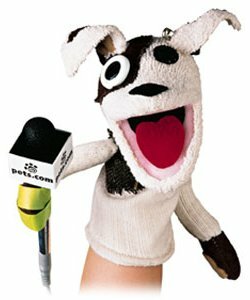 We had sensible investments which were growing well through the dot com surge. We did not touch internet stocks and stayed mostly with generic index funds. We practiced asset allocation, diversification and dollar cost averaging even back then. We traveled regularly, owned a sports car, ate out and went to the movies often. Most of our spending went to entertainment, clothes, food. Our household income was on a nice upward trajectory. 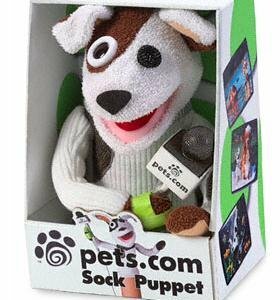 This Pets.com sock puppet is a remnant of the economic boom (and subsequent bust) that we experienced a decade ago. We have 2 young children. And a cat. We both quit our full time jobs to do our own thing. That is, my spouse and I are both self-employed. Stress and its consequences have played a part in making us slow down. The quiet suburb we used to live in is now much more developed and consequently, more populated. We’ve since moved to yet another quiet suburb that’s less developed. We haven’t downsized our home as of yet, but we’ve downsized our activities. A lot. We own a mini-van, stick to our home and daily routines very closely, and don’t travel much. Our savings rate has fallen to unforeseen levels. Actually, we’re spending much more than we are making at the moment since we are working to lift a couple of businesses (okay, his and hers entrepreneurial ventures) off the ground. A lot of risk? Yes, but we have a Plan B, just in case. Compared to 10 years ago…. Our net worth is 4 times more. But our work income has significantly decreased to a fourth of what it was. Our spending is 4 times more. Most of it goes to raising kids, maintaining our house and health matters. We are currently saving $0. In fact, our savings rate is in negative territory. Where You Live: A lot of luck may be attributed to geography altogether. For instance, Silicon Valley is a hotbed for technology, innovation and creativity, and if you’re highly energetic with the ability to churn out bright ideas, you could be in demand. Same goes for certain cities and regions that have a strong demand for certain skills (think: if you’re a performer or entertainer, then you should be hanging out in Hollywood or Nashville!). What Kind of Educational Background or Training You Have: Planets align when you have a background, interest or talent in certain work that is widely available where you live. For example, you’re in a good place (pun intended) if you’re a realtor in a geographic area that is experiencing a real estate boom. The Timing of Big Decisions: Buy a house at the right time, and you’re in luck. Prioritizing job, income and wealth building during a huge economic boom yields huge dividends later. But depending on how you ride that wave, you’ll need to prepare for tradeoffs: in our case, we delayed having kids (but then, if we didn’t, we wouldn’t have the wonderful kids we have today, and I believe things happen for a reason). So much has happened over the last decade that I’d fill a book if I continued. That’s all I really have to say for now. If anyone else would like to step in and share their last 10 years with us here, please do so! It would be interesting to compare notes. I love the Pets.com picture. It might be a collector’s item someday. I am not sure if you wrote about it but I would love to hear about how crazy it was before the Internet bubble popped and what happened after. Had to be some great and then rough times. I contributed to a feature story in the Wall Street Journal about a year ago on entrepreneurship. The writer called me and did almost a 1 hour interview. I wasn’t sure where she was going with all the questions, but a month or so later when the piece was published it was a very nice piece. It was set up giving advice to families that had been bitten by the entrepreneurial bug. Among the advice was making sure both spouses didn’t start a venture at the same time. The suggestion was one spouse start a venture and get it up and running successfully before the other does it. It also recommended having a solid emergency fund of cash and if possible taking advantage of a spouse’s health plan. Not all of these suggestions were mine as the writer interviewed others as well, but the advice was solid and I would recommend it to anyone that has the entrepreneurial craving. I’ve written several posts about the dot com bubble and bust, which includes personal experiences and observations. I linked to a lot of these posts through this one article: Money, Dot Com Bubbles, Startups: The Business of Silicon Valley. You make a very good point about the situation when both spouses decide to become entrepreneurs. I agree completely. We seemed to have our 5 year plan designed a little differently from what it eventually turned out to be due to life circumstances. Because of the logistics of our commute and our desire to live with more flexible schedules to allow ourselves more involvement with our children, we ended up chucking our jobs for contract work and starting our own businesses. Yes, you’ll have to map out your spending and savings plans before doing something like this, and you’ll also need contingency plans in case things don’t work out in the way you hope it will. Honestly that was very interesting. I wold love to hear about the new businesses you guys are starting up. You guys sound like you know what you are doing. Thanks for the link and sorry about asking that question. I am still somewhat new to this site and should have prob. searched for it. Regardless, keep up the good work. It is definitely amongst my favorite money sites! No problem at all, all your questions are welcome and I’ll try to answer them as well as I can 🙂 . And do drop by anytime! I’ll be visiting your sites as well. Working a lot of hours, making a lot of money is sure fun, but it is nothing compare to have kids and do what you really want to. I’d love to give you a positive update on our finances in a year or two. Hopefully by then, we’ll be in the black, income-wise, and haven’t had to sell our house and possessions off! Great recap of the decade! It’s interesting how you liken maturity and becoming an adult to actually achieving your goals, via deciding what you really want to achieve. Most people would only gauge their success by their salary, but it is interesting how yours dropped dramatically, yet you are still on the path you want to be on. I have been avidly following your story on breaking free from the corporate 9 – 5 or whatever time world.